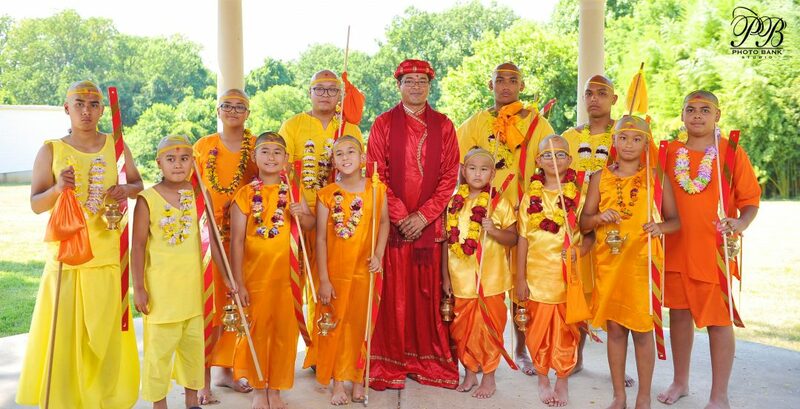 Newah Organization of America (NOA) successfully completed 8th Group Kayeta Puja (Bratabandha) Ceremony on Sunday, July 14th, 2018 at Washington Kali Temple, Maryland on the presence of respected community members, family members, and various organizations & media partners. Kayeta Puja is a unique most significant religious ceremony and is considered rite of passage marking the boy transitions to the young adulthood, perform his duties faithfully, gain knowledge and take responsibilities according to Hindu Scripture. Renowned Newah Priest, Scholar & Cultural Ambassador Mr. Basav Rajopadhyay performed the milestone ritual ceremony. Newah Priest Mr. Basav Rajopadhyay initiated the Pitri Shradda (Nandimukhi) assisted by NOA’s Senior-most Founding Members Mr. Ganesh Lal & Mrs. Haribaba Kayastha serving as Nayo & Naki, by symbolically inviting ancestors of all participants. Thakali and Thakali Naki for Mandap puja performed by duo NOA’s Founding Members and Spouses Mr. Beda & Mrs. Vidya Pradhan and Mr. Hariman & Mrs Laxmi Shrestha. The ceremony commenced with Ganesh Bandana performed by NOA 2nd Vice President Mr. Sushil Lal Shrestha and preceded with the traditional ritual receiving blessings from the priest, parents, and relatives & well wished by attendees. The enthusiastic crowd enjoyed gathering to witness the boy’s first ever hair shaving, ritual seven steps on betel nuts & betel nut leaves and conclusion to highly entertaining chases by the maternal uncles with lively playing of traditional Dhimey and Bhusya. NOA Secretary Mr. Divakar Dhaubhadel served as emcees and conducted the program. 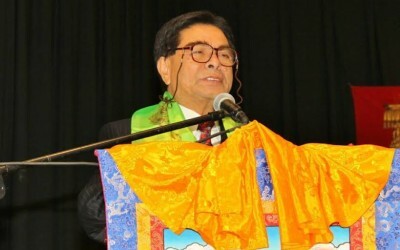 NOA Acting President Mr. Pushkar Prajapati welcomed all the participants, their families, guests, and expressed appreciation for their support and participation in this important ritual ceremony. He also extended special thanks to the NOA’s Founding Members and Past Vice President Mr. & Mrs. Ganesh Lal Kayastha for serving as Nayo and Naki of the ceremony, NOA Founding members and First President Mr. Beda & Mrs. Bidya Pradhan, NOA’s Founding members and past Executive Committee Member Mr. Hariman & Mrs. Laxmi Shrestha as Thakali Nakin for Mandap Puja. Mr. Prajapati also thanked NOA’s Founding Members, past Executive Committee members, Past Presidents, Advisor and representatives of various organization and media partners for their continued patronage. NOA Founding Members Mr. Beda Prasad Pradhan and Mr. Tribhuvan Tuladhar distributed certificate of completion to all Kayeta Puja participants with Tupli (Nepali Cap) to all twelfth Kayeta Puja participants, respectively. NOA is deeply honored and extended sincere gratitude to their parents and relatives of the participants and felicitated them all during milestone ceremony. On the occasion parent of participants also expressed their special gratitude to NOA for well-organized and memorable ritual ceremony. NOA 2nd Vice President Mr. Sushil Lal Shrestha conveyed thanked to Newah Priest Mr. Basav Rajopadhyay for completion of ritual ceremony, NOA Treasure Mr. Rajesh Lal Shrestha for Coordinating this year’s Kayeta Puja ceremony, NOA Executive Committee members along with their spouses, volunteers for their tireless efforts to facilitate this event successfully, recognizes Senior Photographer Mr. Rajiv Shrestha for capturing exquisite moments, NOA Executive Members Mr. Yagya Man Shakya for outstanding videography/sound/decoration, NOA Executive Members Mrs. Meena Pradhan for sponsoring puja item, NOA Past President & Advisor Mr. Rajesh Shrestha for contributing electric hair clippers, Past President/Advisor Mr. Ram Lal Shrestha for printing Certificates/brochure, Past President/Advisor/WNO President – Season Shrestha and NOA Acting President Pushkar Prajapati for Dhaka Tupli for all participants and Curry Place Restaurant for catering food. 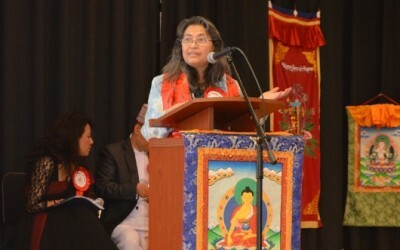 NOA takes opportunity to recognize and thank eNepalese.com & DC Nepal for covering live video streaming and covering the event and all media partners for coverage of the event, NOA extends sincere thanks to representative of various organizations and also to The Washington Kali Temple for providing venue. NOA Executive member spouses and volunteers served Breakfast and delicious vegetarian lunch. The ritual ceremony concluded with unforgettable memories, wonderful experience and enthusiastic crowd of peoples including friends, family and relatives. NOA takes great pride in preserving and promoting rich Newah culture, heritage and tradition alive in the United States.